This is my review for the Frigidaire Cool Connect Smart Air Conditioner. If you are considering purchasing one, then what I’m about to share with you could sway your opinion about the Cool Connect Series. At the beginning of this summer, I decided it was time to purchase a new air conditioner. Being the smart home enthusiast that I am, I had it narrowed down to a small handful of new smart air conditioners. My house is a little over 2500 square feet and not all that open for the most part, so it’s a real challenge to cool the entire house with one air conditioner. Of course, I refuse to pay for central air conditioning being that I live in New England and only use it a few months out of the year. We have smaller air conditioners for the bedrooms upstairs, but I really needed something that I could control remotely and turn on when we were on our way home. Not only that, but I tend to be lazy and wanted to be able to turn the unit on or off with my voice from the comfort of my couch. Why Should You Buy A Frigidaire Cool Connect? The answer to that doesn’t necessarily just come from a thorough understanding of how smart home devices work. While the Frigidaire Cool Connect series hasn’t been around that long, Frigidaire as a company has been around since 1916. So the name and brand have a very healthy history. Not only that but my entire kitchen is filled with Frigidaire products, so I figured since we hadn’t had any problems or issues in the years that we have owned those products that I would give their smart air conditioner series a shot. So with that, allow me to get into more about this smart air conditioner and why I found it to be the best for smart home users. How Many Different Versions Of Frigidaire Cool Connect Are There? Technically there are five different versions of the Frigidaire Cool Connect on the market. You can find out more about each version at each of their perspective links over on Amazon below. 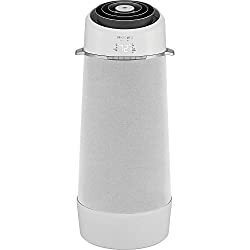 Which Version Of The Frigidaire Cool Connect Do I Need? The answer to this greatly depends on the size of your home. In my article about making your existing air conditioner smart, I discussed SEER ratings. So, in this case, the size of your home does matter. In short, the Seasonal Energy Efficiency Ratio or “SEER” for short is a measurement of units used to measure how much cooling a system puts out for each unit of energy it consumes. Basically what this means is, the higher the SEER rating, the more efficiently the air conditioner will work. So you will want to pay attention to this when doing the math on what air conditioner you should purchase. In fact, you can use this handy SEER calculator to help you figure out what you’ll need. How Do I Install The Frigidaire Cool Connect? The installation of the Frigidaire Cool Connect Window units is pretty straightforward. It’s basically like installing any other simple window AC unit. If you want step by step instructions, you can check out the video below. If you are installing the portable unit, then it is slightly different (as most portable air conditioning units are) and potentially easier to install if you have a window that you can stick the hose out of. What makes the Frigidaire Cool Connect Smart? 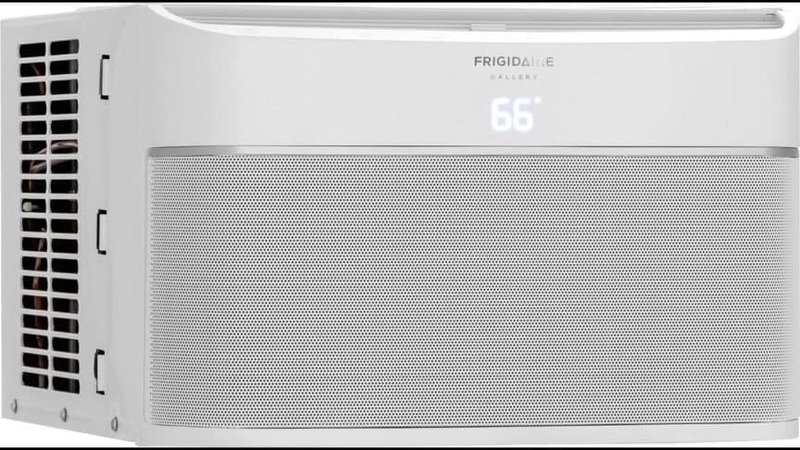 You can connect the Cool Connect through the Frigidaire App and control it from anywhere via your smartphone. Alternatively, you can control it with your voice via Alexa on your Amazon Echo, or through Google Home. Here is a video walking you through the set up of the Frigidaire Cool Connect App. So now that we have all of that out of the way, I’ll dive into which unit I bought and how it has performed through the intense heat we have seen on the east coast this summer. I bought the Frigidaire Cool Connect 8,000 BTU air conditioner. I needed to cool the entire first floor of my home and didn’t want to take a chance with the 6,000 BTU unit. Turns out I chose just fine! The 8,000 BTU unit covered my entire first floor from my office, which is almost completely closed off on one end of the house to the kitchen and dining area which is completely on the other end of the house. I think my test of this product was a pretty good one because with the heat we’ve been having I’ve had to run that thing pretty much day and night when I’m in the house. The installation went smoothly. I mean, I think I had the thing completely installed in less than half an hour. The sleek design stands out! From the front, it’s clean and elegant look is better than any air conditioner I’ve ever owned. If you want to check out the current price for that model, then here is the link to it on Amazon. I’ve owned a lot of air conditioners over the years. Many of the ones that I had purchased when I was younger were just the cheap, Walmart specials and never lasted very long. But this one has been running all summer long without a hitch and I can say that it is perfect for any smart home enthusiast just for its ease of connectivity. I think that if you like your house ice cold, then you might want to go with a larger version than I did. But I like the inside temperature to be no more than 68 degrees Fahrenheit on those hot and humid summer days. That’s why I went with the model that I did. I hope you found this review helpful. If so, make sure you follow me over on Facebook, that way you never miss any of my new posts and stay up to date on all of the latest and greatest smart home technology.